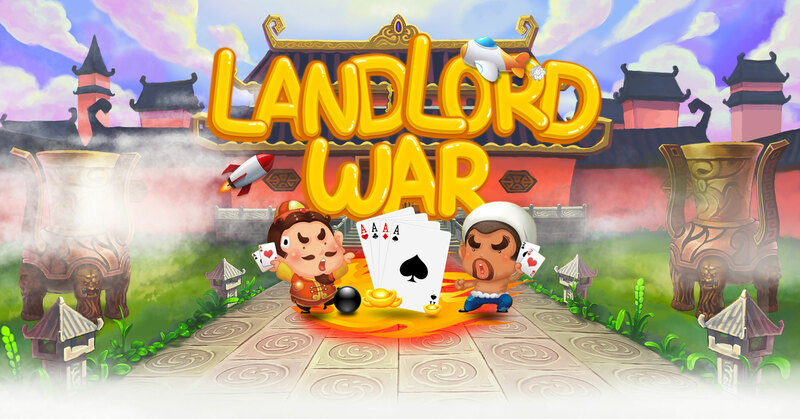 "Landlord" is a kind of poker games which is popular in China. The game needs 3 players, one is the landlord, and the other two are farmers. Both sides fight, and the victory party is whose member finishes out his or her cards first. There are 3 players, 2 roles. One of the role is landlord, and the other is farmer. Only one player could be the landlord, and the others are farmers. The victory party is whose member finishes out his cards first. "Call the landlord" and "Grab the landlord" these two links determine player's role. One is landlord while others are farmers. Every card set has 54 cards. Every player has 17 cards. Left 3 for base card. Anyone can not see the case cards before determining landlord. Players choose "calling landlord" or "not calling". "Calling landlord" shows that the player wants to be the landlord. 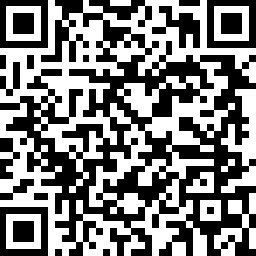 If no one chooses "calling landlord, the players will be distributed cards, then restart this link until someone chooses "calling landlord". 6. Decide The Player Who Can Choose "calling landlord" First. The player who can choose "calling landlord" for the first time will be selected by the system randomly. A. Every player has only once time to grab landlord in order after someone choose calling landlord. "Grabbing landlord" shows that someone wants to be the landlord. B. The landlord role determination of "calling landlord". If no one chooses "grabbing landlord", then the player who chooses "calling landlord" becomes the landlord. C. The landlord role determination of "grabbing landlord". If no one chooses "grabbing landlord", then the player who chooses "grabbing landlord" becomes the landlord. D. If there are more than one player choose "grabbing landlord", then the player last choosing "grabbing landlord" will be the landlord. E. The game's integral will be multiplied by 2 for each "grabbing landlord" times. We call that game doubles. F. Players who gave up bidding for the position cannot outbid for the position either. 8. 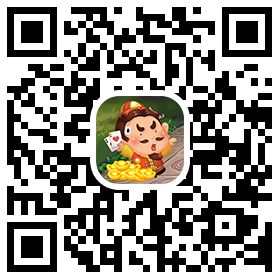 Game Double——Raise The Risk Stakes. A. When the landlord is determined and receives the remaining three cards, he or she can opt whether or not to double the risk stakes. B. The landlord needs to make a decision within the time limit and then await others to make their decisions within the time limit. Then the landlord begins to play the game. 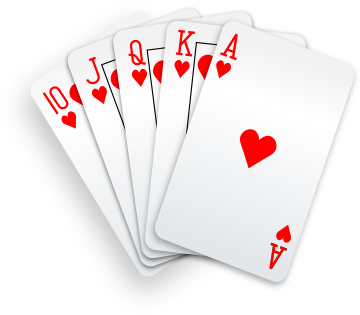 The remaining three cards are shown to all players and then given to the landlord. The landlord begins playing cards first and then others play cards in counterclockwise order. Players can opt to pass or beat the prior hand. The game is over when a player has no cards remaining. Rocket: Colored Joker and black-and-white Joker. Beats everything in the game. Bomb: Four cards of the same rank, e.g. 7-7-7-7. Solo: Any single card, e.g. Heart 5. Pair: Two matching cards of equal rank, e.g. Club 4 and Diamond 4. Trio: Three cards of the same rank, e.g. J-J-J. Trio+Solo: Three cards of the same rank with a solo or a pair as the kicker, e.g. 3-3-3+6 or 4-4-4+9-9. Chain: Five or more consecutively numbered cards, e.g. 4-5-6-7-8 or 7-8-9-10-J-Q-K. 2 and two Jokers are excluded. Pairs Chain: Three or more consecutive pairs, e.g. 3-3-4-4-5-5 or 7-7-8-8-9-9-10-10-J-J. 2 and two Jokers are excluded. Trio Chain: Two or more consecutive pairs, e.g. 3-3-3-4-4-4 or 7-7-7-8-8-8-9-9-9. 2 and two Jokers are excluded. Airplane: Two or more consecutive trios, with the same amount of individual cards or pairs as a kicker, e.g. 4-4-4-5-5-5+7-9 or 3-3-3--4-4-4-5-5-5+7-7-9-9-J-J. A. Rocket can beat everything in the game. B. Bomb can beat any other category and individual card except Rocket or another Bomb with a higher or equal rank. C. A player can only beat the prior hand by using the same category but not the others, except Rocket and Bomb. D. Individual cards are ranked. Colored Joker > Black & White Joker > 2 > Ace (A) > King (K) > Queen (Q) > Jack (J) > 10 > 9 > 8 > 7 > 6 > 5 > 4 > 3. Suits are irrelevant. E. Pairs and Trios are ranked based on card numbers. F. Chains are ranked based on the highest individual card. G. Airplane and Four+Dual are ranked based on Trios and Four-of-a-kind. Kicker is irrelevant.